Contrary to popular belief, in-game advertising (IGA) is very much alive and kicking. Many companies place their ads in video games and this method successfully boosts their sales not to mention their visibility as well. 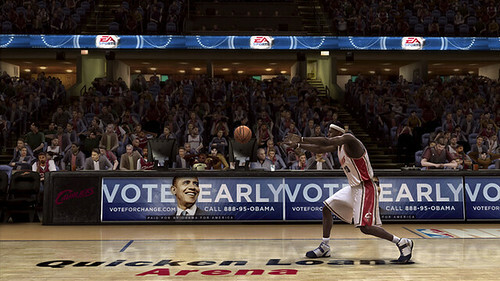 Despite the protests from gamers, ad placement in games when done well can leave an impression, thus becoming viral. Most of the adverts are static, consisting of billboards that present the products to the gamers. The programmers have placed those ads directly into the game so they cannot be altered. This became a trend in the 80s and in the 90s, though other methods have been employed such as the use of commercial products as obstacles. The billboard method is still used though. Remember in the controversial “Need for Speed: Carbon” game where President Obama was injected into the game? That is just one of the 18 games where he could be seen. In 2012, he was visible again in mobile games and online game sites. There are now ads that can be modified by advertising agencies remotely. This allows more flexibility especially if there are location or time sensitive campaigns. Dynamic ads, unlike static ads, are not hard coded into the game so that advertisers can insert their messages or campaigns anytime they wish. According to Forbes, in-game advertising will double in the next three years because they see that this ad medium is drastically growing. Not all players are happy with IGA because ads could become distracting and remove game immersion. Bobby Kotick of Activision Blizzard and one of the highest paid CEOs in the world, has his eye on gaming quality so players and developers both benefit — not just the advertising companies. With commercials on TV fast-forwarded through DVRs and magazine subscriptions decline, it seems that advertising in video games will not go away. Virtual billboards cannot be avoided, making them a powerful form of marketing.